Thanks, Phyllis. I agree herons and egrets are really fun to watch when they are hunting! I dream of one day seeing and photographing a Little Blue Heron. Well done! Thanks so much. They are a really lovely species to see! The Little Blues are pretty herons, great capture! Enjoy your day! What a beautiful bird. I had the pleasure of seein a few last Winter in FL. This is really a beauty! Thanks, Mary! I agree that they are a lovely species to watch! Soft colors...almost like a watercolor! Neat capture! 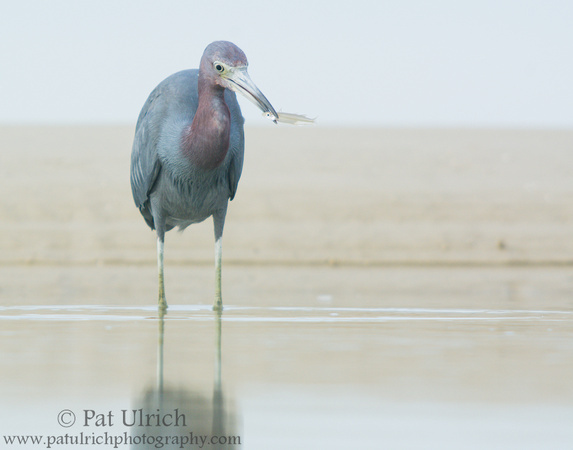 I dream of one day seeing a Little Blue Heron! Thanks! They are a beautiful species for sure!